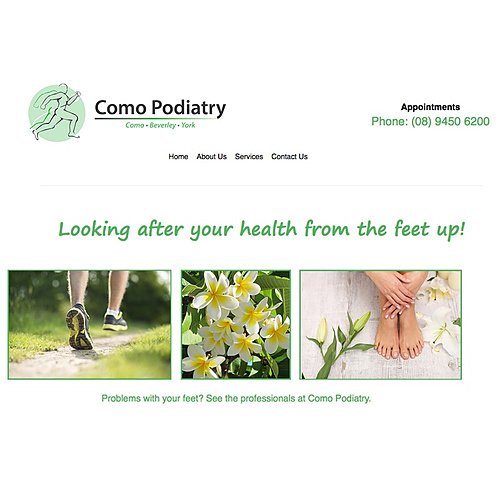 GTP is pleased to welcome Como Podiatry as a client with a simple clean web site. 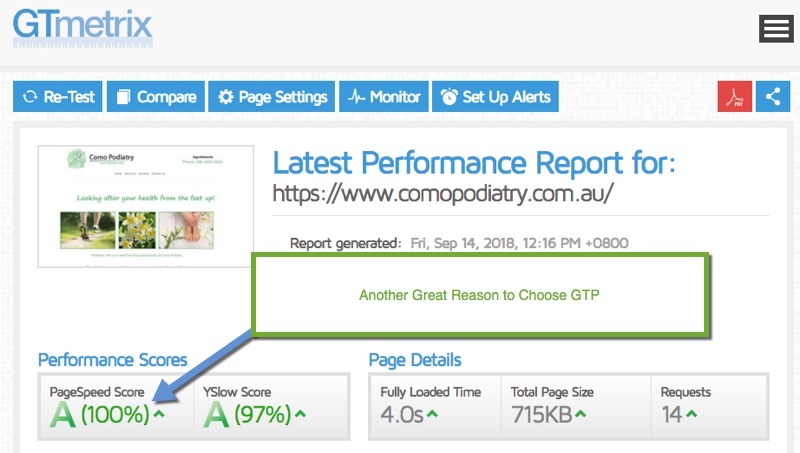 Again GTP has managed to hit 100% on the quality metrics as measured by site gtmetrix.com and others. If you have any podiatry needs please give Como Podiatry a call. Visit their podiatry services website for details.